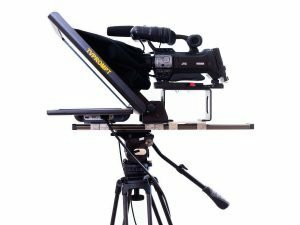 Teleprompter for Set, with metallic structure and PVC with great robustness and lightness. 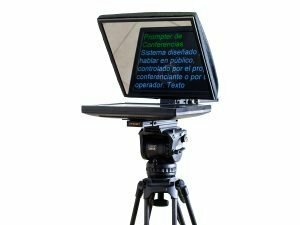 Teleprompter 19” for a reading up to 8,2 m. approximately. Inputs VGA, DVI, HDMI and VBS PAL (optional). Polarized ultra see-through glass, beam splitter 70/30 and high accuracy for an specular image. Monitor size: 43,03cm x 28,04cm x 4,5cm.